So good. Went here twice while in town for business. Definitely be back again. Variety of specialty hot dogs that will blow your mind not your wallet. The staff here are outstanding. French fries - fresh cut fries are great too. They have the best corndogs. They make them inhouse and they are GREAT! Lots of other hotdog choices, but you'll like the corndogs best. I love going to this place. Every road trip through Virginia, stopping by in Richmond. This little hole in the wall will give you some of the best damn flavor in the city. Get the philly dog 10/10. Very affordable too. The Chicago Style Hot Dog was absolutely amazing!!! It is made just like Chicago style dogs in Chicago. Being a Chicago native it's important to me that Chicago style dogs are made correctly. City Dog made it perfectly. Great food. I had a Philly cheese steak today during my lunch break from work. Foods great. Chef sounds like Bob from Bobs burgers which made the experience even better. The hot dog selection is great and the hot dogs come out fast. The hot dogs were a little smaller than what I would've expected for a place that specializes in hot dogs, and the milkshakes come in foam cups rather than glasses. Excellent hot dogs, burgers and milkshakes! Go there every time I'm in Richmond. Definitely recommend. Great hot dogs with crisp casing. The chili dog is Sonic the Hedgehog good. Lunch with the Mrs. Hit the spot and the price was right! It was a take out hamburger order because I had a random craving while at work(usually I eat mostly veggie dishes)! They came through with an amazingly satisfying burger with great quick service. Thank you for making my day! It smelled so good I forgot to snag an image before scarfing it down while working on a report at work. Everything is great but they need red onions as a topping. We had the best burger. This is a great place. Want to bring our husbands here. They will love! Erin and Marcus are always great! Thx guys! Best place for a beer and a shot after work. Sure do not agree with some of these reviews, Sabretts, Thurman and Hebrew Nationals are all top notch, had lunch here many times, great service and price points are fitting for location. Some of the best onion rings anywhere. Great lunch deals. Had a burger special and it was tasty! Best entertainment, hot dogs and wait staff!!! 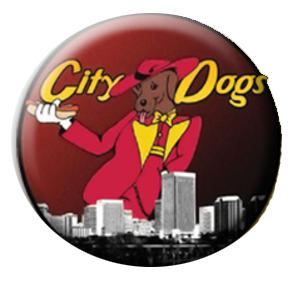 If you stop in richmond, you got to stop at City dogs!!! Love this place. Great atmosphere, great food, inexpensive. Surprisingly great -- food is awesome and they have a great selection of drafts. Awesome value and quick service. Very good? I don't normally eat hot dogs but this was very good. Best low key spot in shockoe. Great happy hour deals, casual atmosphere, and friendly staff. Proud to be a regular! Great place to stop for lunch and pick up some tasty hotdogs! Keep an eye out for their daily specials (which are set and reoccur weekly) as they are both filling and easy on the wallet. OPEN LATE - A BLESSING.